We have an abundant supply of garlic in stock! It is a wonderful crop that is planted in the fall and harvested the following summer. It is easy to grow and requires very little space in the garden. Garlic is also a natural pest repellent! Best time to plant garlic is in the fall. Plant 6 to 8 weeks before first expected frost date. Plant in a spot that has not recently been used for garlic or other plants from the onion family. Plant in a sunny spot with well drained soil. Work several inches of compost or manure and fertilizer into the bed. Break apart cloves from bulb a few days before planting, keep the papery husk on each individual clove. Space the cloves 4-6" apart. Rows should be spaced one foot apart. The cloves should be planted with the pointed end up and the blunt end down. Push each clove 1-2" into the ground, firm the soil around it, and water the bed if it is dry. After planting, lay down a protective mulch of straw. The mulch should be approximately 4 inches thick. Mulch will help prevent the garlic roots from being lifted out of the ground by freezing and thawing. Mulch should be removed in the spring after the threat of frost has passed. When the leaves begin to grow, it is important to feed the garlic plants to encourage good growth. Gently work in Osmocote into the soil near each plant. Cut off any flower shoots that emerge in spring to encourage bulb growth. Keep well weeded. Garlic doesn’t do well with competition. Fertilize again just before the bulbs begin to swell usually early May. By June remove any remaining mulch and stop watering. The garlic will store better if you allow the soil around the bulbs to dry out. Harvest garlic when most of the leaves have turned brown. This usually occurs in mid-July to early August. Dig up bulbs (don't pull), being careful not to bruise them. If the bulbs are left in the ground too long, they may separate and will not store well. Lay the garlic plants out to dry for 2 or 3 weeks in a shady, dry spot for two weeks. Do not get the bulbs wet or break them apart, or the plants won't last as long. The bulbs are cured and ready to store when the wrappers are dry and papery and the roots are dry. Either tie the garlic in bunches (4 to 6), braid the leaves, or cut the stem a few inches above the bulb. Hang the braids and bunches or store the loose bulbs on screens or slatted shelves in a cool, airy location. You may want to set aside some of the largest bulbs for replanting in the fall. During the winter months check your stored garlic bulbs often, and promptly use any that show signs of sprouting. At Vineyard Gardens nursery we have a wonderful selection of Miscanthus Maiden Grass. It a low maintenance, deer resistant ornamental grass commonly planted in groups along a border or for privacy screening; along edges of beds; and excellent for container planting. It has fine-textured, silvery-green foliage that turn golden-bronze in autumn and has spectacular plumes in late summer. Maiden grass thrives in full sun and may get 6 feet wide with a 10 foot spread. The grass requires well-drained soil, but is tolerant of excess moisture, dry conditions, acidic soils and even hard clay sites. Propagation of ornamental maiden grasses is through division. 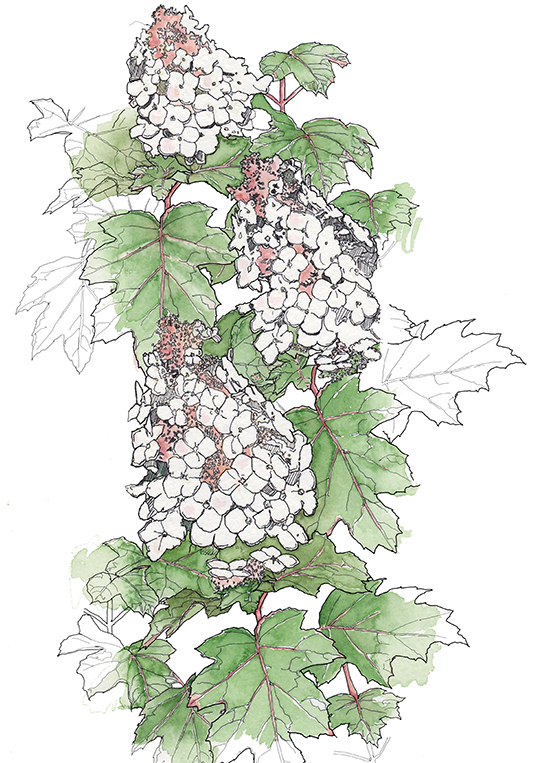 You may dig up a mature plant in early spring before new growth has appeared. Cut the root base into two to four sections and plant each as a new plant. It is important to do it when the center of the plant is showing signs of dying out, an indicator that it is time to divide the grass. 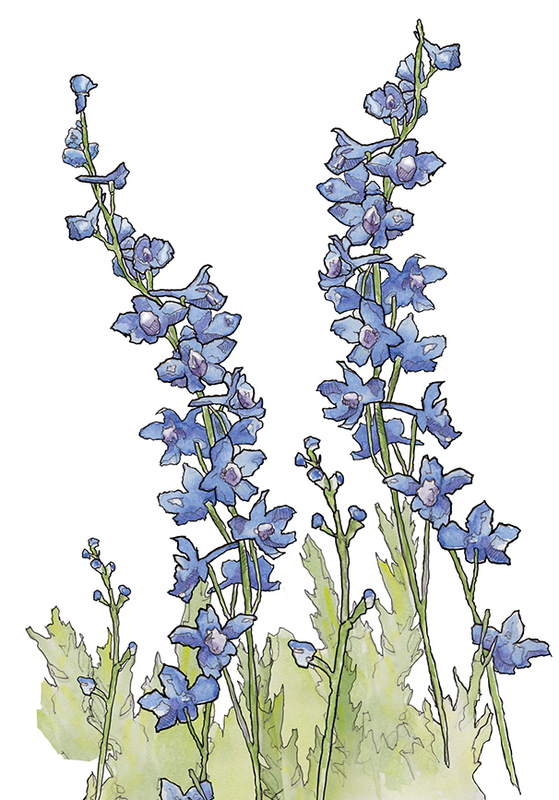 Easily grown in average, well-drained soils with consistent moisture. Water deeply, regularly during first growing season to establish an extensive root system; reduce frequency when established. Hard prune and apply fertilizer in late winter to early spring just before new shoots appear. Pruning time: early spring. 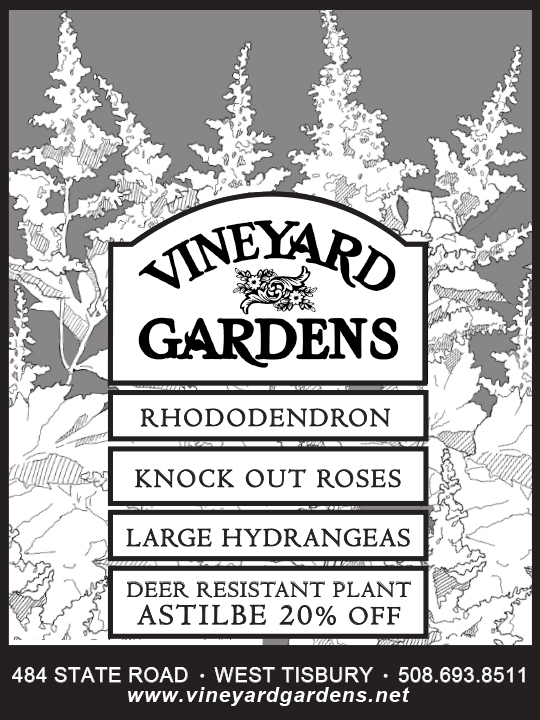 PLANT OF THE WEEK : ROSES 20% off! 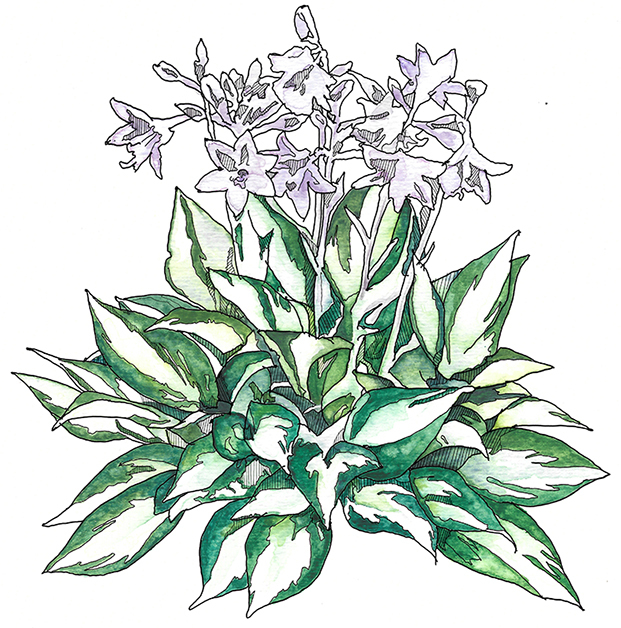 An easy-to-grow annual whose leaves and flowers are edible. 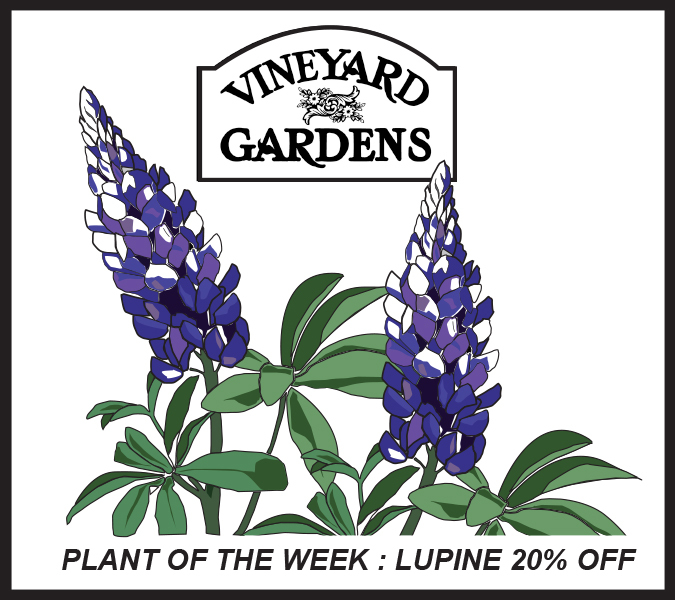 These plants are good for containers or as ground cover. Their pretty fragrance also makes them a good choice for cut flowers. Nasturtiums are perfect to grow with children because they grow easily and rapidly. VERTICAL GARDENS / GROUND COVERS / WEED BARRIERS /LIVING MULCH: Choose climbing or trailing nasturtium varieties with longer vines like White Moonlight, Red Canary Creeper, Multi-Colour Trailing Mix and Yellow Canarybird Creeper. You can start the seeds indoors 4 to 6 weeks before the last spring frost. Plant nasturtium seeds in early spring in moist, well-drained soil in full sun. They can grow in partial shade, but they will not bloom as well. Nasturtiums prefer poorer soils and they do not need fertilizers. 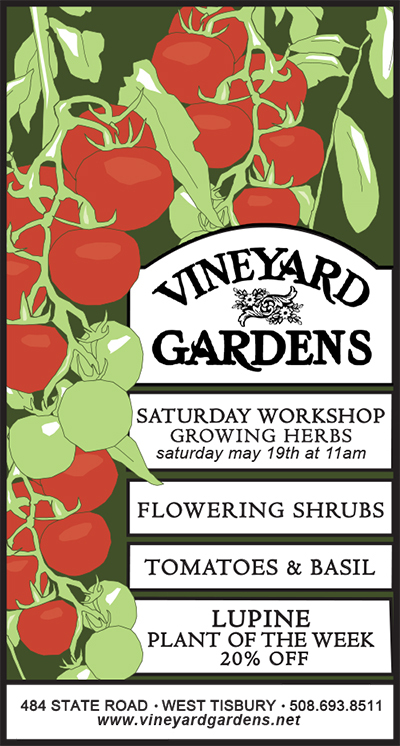 Fertile soil will produce fewer blooms and more foliage. Plant nasturtiums where other flowers and vegetables would be unsuccessful. Plant the seeds about half an inch deep and 10 to 12 inches apart. Plants should appear in 7 to 10 days. Water regularly throughout the growing season, but be careful not to over-water your plants. Cutting off the faded/dead flowers will prolong blooming. If you’re growing nasturtiums in containers, they may need to be trimmed back occasionally over the growing season. 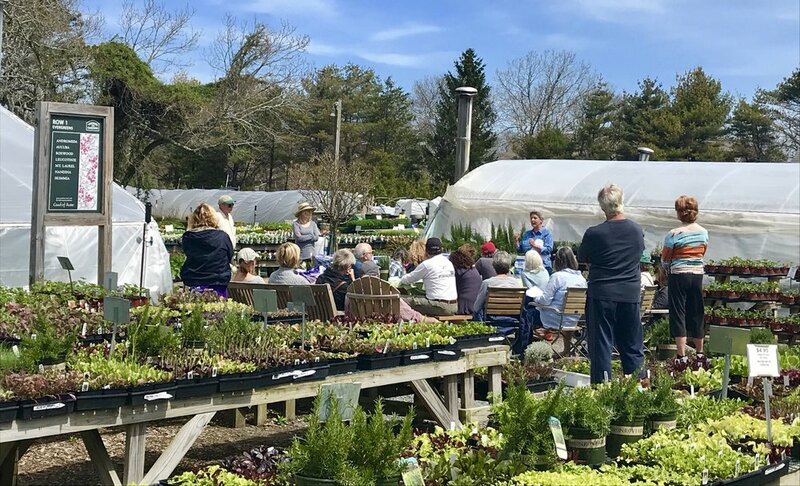 Thank you to Sue Lavalee, of Coast of Maine Organic Products, for putting on an insightful and information packed workshop this past Saturday on Raised Bed Vegetable Gardening.